You can start a print process from within lots of functions and windows in MAXQDA. A preview window will appear that allows to set borders, headers and footers etc. For some functions – e.g. 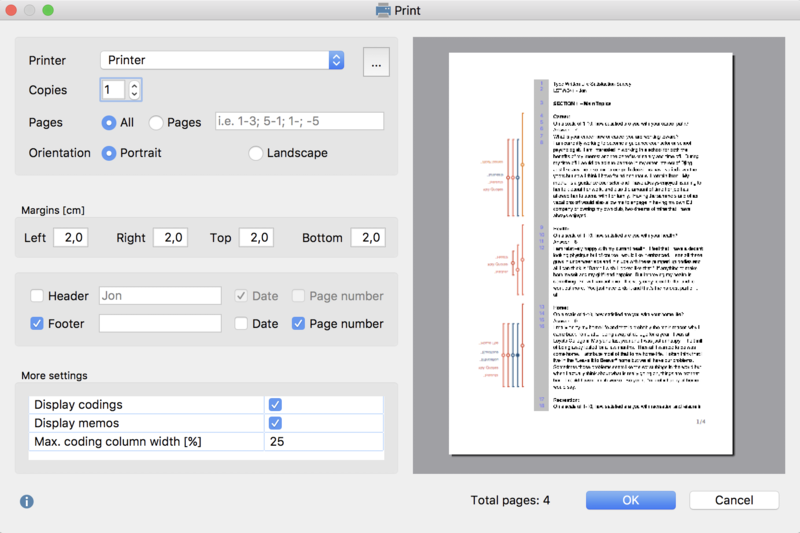 when printing the document displayed in the „Document Browser“ window“ – some additional settings are offered in the left window pane.